Twitter has banned Russian media companies Russia Today (RT) and Sputnik from advertising on its service after it found that both had “attempted to interfere with the [2016 U.S.] election on behalf of the Russian government” using the social network. “This decision was based on the retrospective work we’ve been doing around the 2016 U.S. election and the U.S. intelligence community’s conclusion that both RT and Sputnik attempted to interfere with the election on behalf of the Russian government,” the company said. 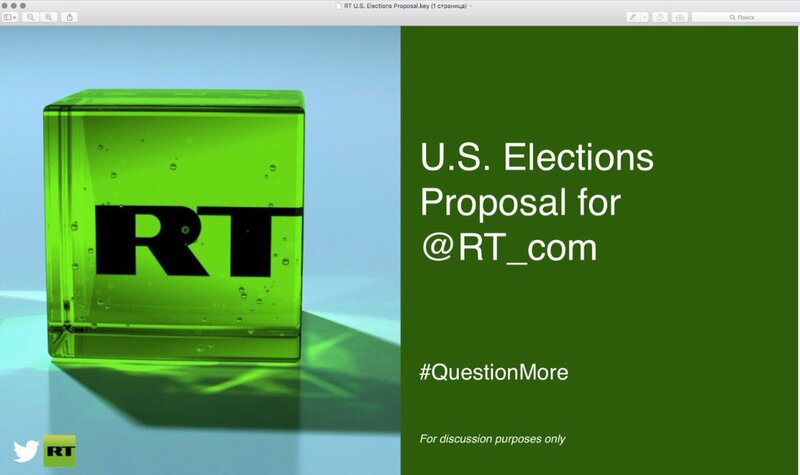 It added that it will donate the revenue it has received from RT advertising efforts — which it puts at $1.9 million to date — to fund research into the use of its service in civic engagement and elections. The company promised to share more details on that soon. To add fuel to the fire, RT’s head of social media earlier suggested Twitter had encouraged the media outlet to run advertising around the election. Hope @jack won’t forget to tell @congressdotgov how @Twitterpitched @RT_com to spend big $$s on US elex ad campaign. The microblogging platform has been swept into the issue of how the internet was used to influence the 2016 election, which started out with major questions asked of Facebook after a Director of National Intelligence report in January found evidence of a campaign led out of Russia. Twitter provided information to Congress last month and, following a bipartisan Congressional bill proposing new regulations for online ads, it pledged to be more transparent over political ads and electioneering with a new system. Not only will political ads on the service be labeled accordingly, but Twitter has created a transparency center that details political ads running on Twitter, the content/creatives behind them, how long they have run and who they are targeted at.